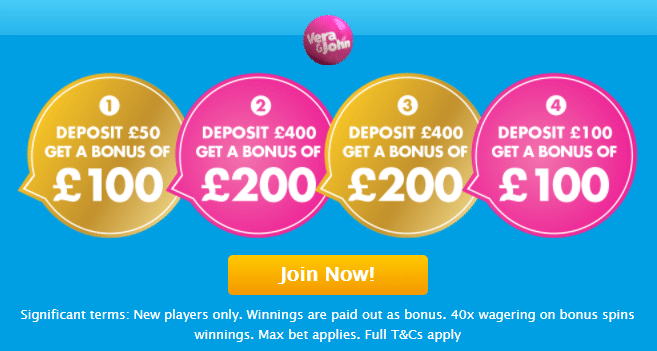 Vera&John casino invites all experienced British players to benefit from this rewarding bonus. Deposit for the fourth time at least 10 Pounds. Payments made with Neteller and Skrill are not available for this deal. You can receive a 100% bonus up to £100 to gamble with. Play through the bonus amount 40 times before making any withdrawals. Get your hands on this deal today!